It’s fall which means it’s football season. 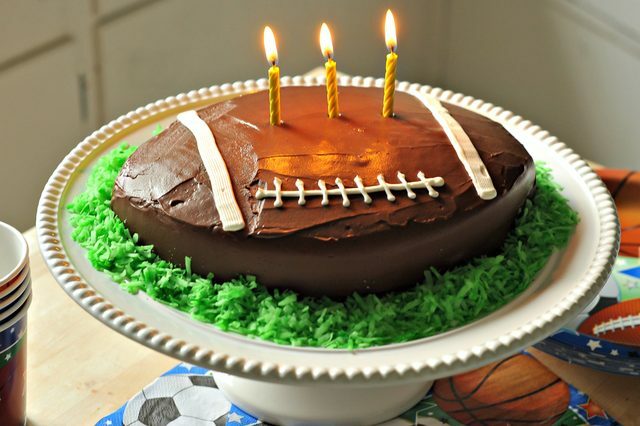 Whether your little one is a fan of college football, the pros or just likes tossing the pigskin with their friends in the backyard, a football themed birthday party is something that they’d love. But how do you you capture the fun and excitement of the game they love and infuse it into their birthday like a spa infuses that great fruit flavor into their water? By having an NFL star show up at the party. OK, that’s not realistic. So, for the rest of us, it starts and ends with an amazing football themed birthday cake. 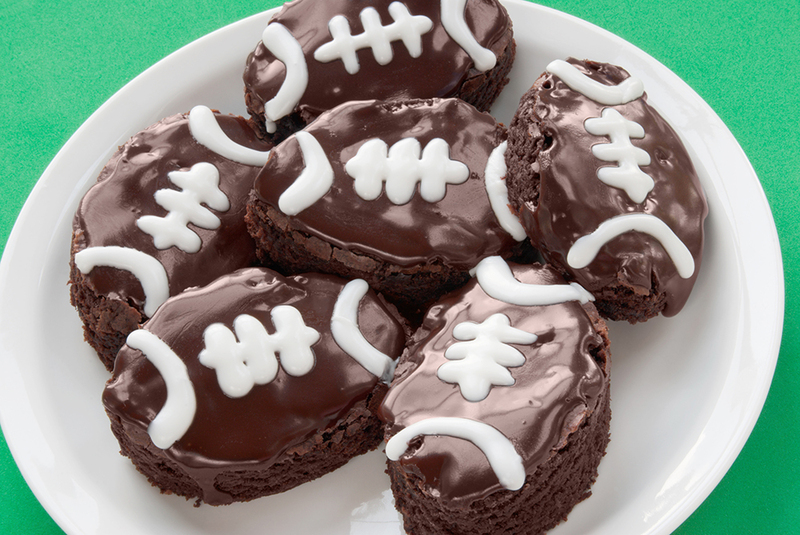 We’ve compiled our favorites that you can make as the quarterback of your kitchen that will ensure that your kid’s birthday party is a BIG win for the home team. The most iconic part of football? The football itself. Yeah, it’s kind of obvious when you say it out loud. So why not make a cake that looks just like the real thing. OK, so maybe not just like it, but close enough. 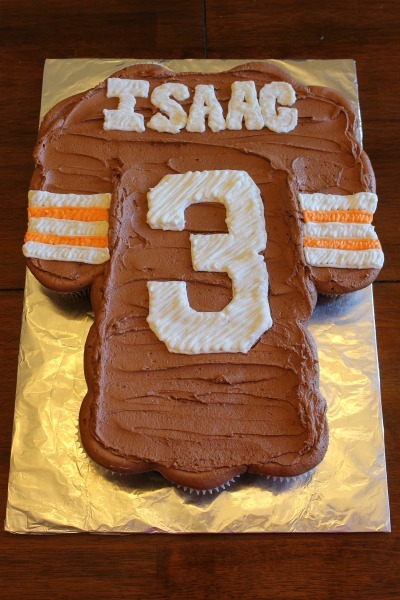 Our friends over at Leaf.TV provide a great how to guide to make this sweet looking football birthday cake. Most kids don’t like getting clothes for their birthday. That is unless that article of clothing is an edible football jersey with their name on it. LaHootBakery.comhas the lowdown on how to make a simple yet amazing personalized football jersey kids birthday cake using just cupcakes, frosting and some decent handwriting. And don’t worry, unlike when you buy clothes for a kid’s birthday, you don’t have to fuss about the size of this one. Want to feel like you won the big game with little effort? 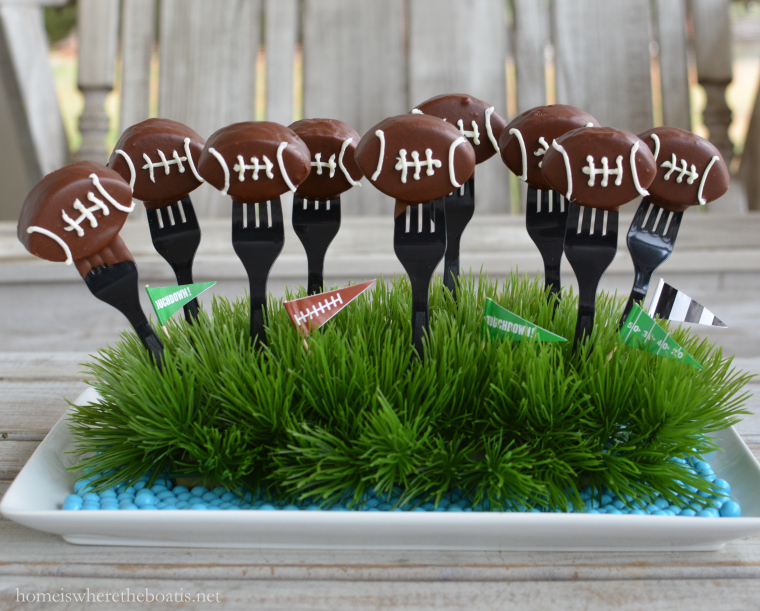 Try out these great football cake pops and be the champion of your kid’s birthday party. Made from pound cake, chocolate and vanilla frosting even a redshirt freshman in the kitchen could look like an all-pro making these in the kitchen. HomeIsWheretheBoatIs.com has a step-by-step guide on how to make these tiny treats. Just remember, like we learned in Ace Ventura, you always want the laces out. We’ve shown you football cakes and cake pops but could we interest you in something of the cereal variety to serve at your kid’s next birthday party? That’s where the guys, Snap, Crackle and Pop, over at RiceKrispies.com come in. They have a recipe for mini footballs made of Cocoa Krispies, marshmallows, peanut butter, frosting and a few other ingredients. They’re not only easy to follow but they sound completely delicious for any kid’s birthday party or, if you make extra, for those late night cravings the few days after.